We are small is a book of tipp-ex poetry, a successor to Let us go then, you and I which was published in 2003. While the latter book was based on a fragment of a T.S. Eliot poem, We are small reflects on the non-literary object of a letter. On each page the complete text of this letter is printed, but parts of it are tipp-exed, or made white (tipp-ex is the European word for what in the US is called whiteout). 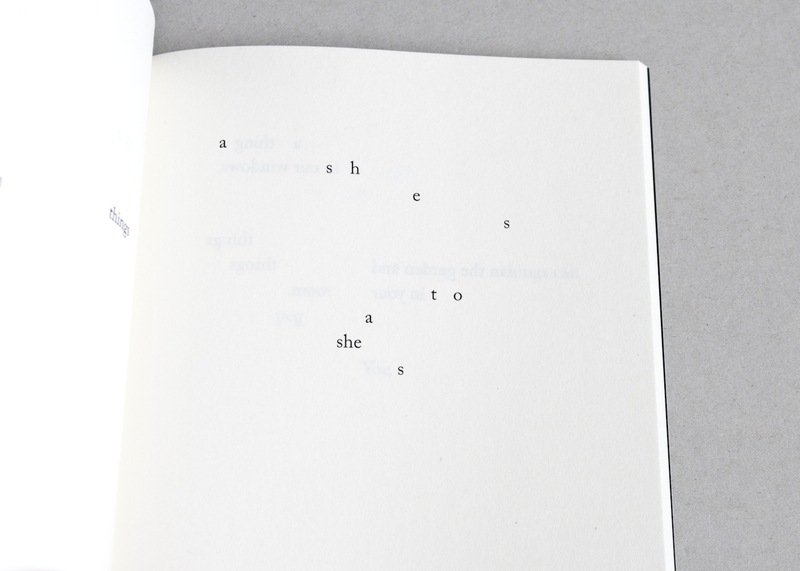 In this manner new poems are revealed that were already present in the original text. The poems are bleaker than in Let us go then, you and I, the view of the world more hostile. Emptiness seems to pervade the world – “o old / things” – that this book talks about. On a literal level the emptiness is visible in the use of white space. Published in Leerdam, The Netherlands, 2012. The edition was limited to 100 numbered and signed copies. Each book was personalized with the buyer’s name in the colophon (bookshops and libraries received copies dedicated to the reader in general). Black and white perfect bound paperback, size 4.5 x 6.75 inches, 72 pages. You can see more images of the book here. 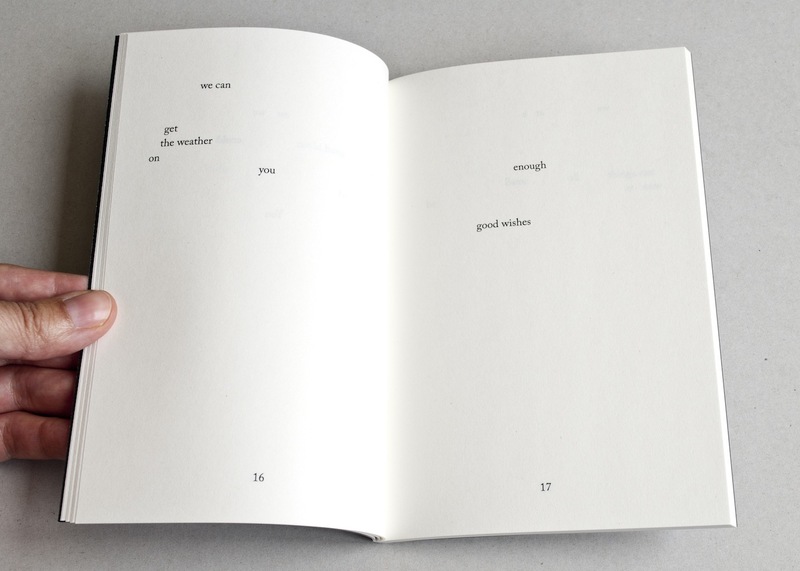 This book was shortlisted in the 2013 Artists’ Books of the Moment Award, Art Gallery of York University, Canada. Read a review in Dutch by Lise Lotte ten Voorde for Tubelight. The book is sold out. It is available in the collections of Bayerische Staatsbibliothek, Columbia University, Erfgoedbibliotheek Hendrik Conscience, Kunstbibliothek (Berlin), National Library of The Netherlands (Koninklijke Bibliotheek), University of the West of England (Bower Ashton) Library, Zentralinstitut für Kunstgeschichte (Munich).